Great commercial opportunity. Next to Lexington Medical Center & across street from a neighborhood strip center that has a KMart, Food Lion, furniture store etc.. This sale would include 2 parcels TMS #0043250-01-014 & TMS # 004325-01-018 for total of 1.70 acre. There are 2 block buildings and 1 building houses the existing business Roof Transmission and Garage service. These 2 parcels are behind Payless, Exxon and Ameris Bank on West Main St. in Lexington. West Main Street is a major traffic route and a great location for commercial, retail property. Seller makes no guarantees on any buildings on this property. A sewer easements run across the front of this property directly behind the commercial buildings on Main St. 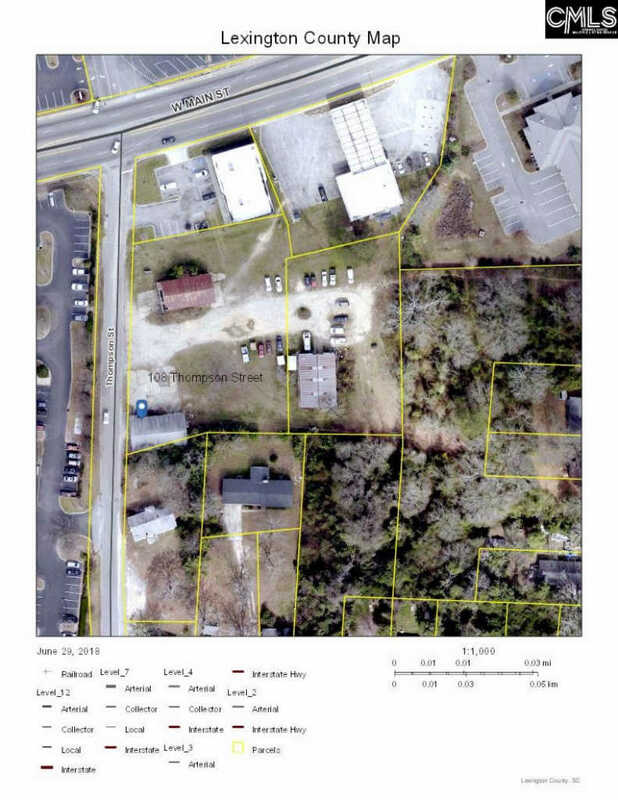 This parcel, with 4 other surrounding properties for sale, when combined, will equal 3.90 acres. See 5 Parcels for Sale in CMLS Docs.